Don’t you just love those POV camera shots that’s often used in reality shows, especially those reality competition series like The Amazing Race? It really puts you right in on the action and you get to see what the competitor is seeing as well, which makes the action more engaging and immersive. The POV cam setups that are used in these series are expensive and are mounted on the helmets the competitors use because it’s the only place where the camera can be placed and of course, the camera is a little bulkier. If you also want to set up a POV shot but don’t want to spend a lot on it then consider getting the Looxcie II. 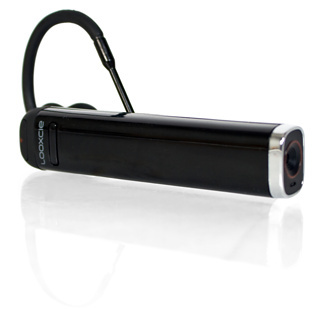 The Looxcie II is a great little gadget that allows you to record what you see and hear because it can be securely clipped over your ear, much like some Bluetooth handsfree earsets do. The Looxcie can record VGA video at resolutions of 480p. Okay, it’s considered old technology given that we’re already in the high definition era, but for home videos it’s not really too much of a problem to use standard definition. The Looxcie II is very lightweight you will hardly feel any weight on your ear as you clip and carry it on your ear. The device doesn’t have an LCD screen mainly because you really won’t be able to see it anyway (I’ve yet to see a guy who can look at his ear) and the whole design concept is that you get to record whatever it is you are looking at. Additionally, all of the functions are automatic so that your hands get truly free. The Looxcie II has a 4GB internal memory and this is equivalent to about 90 minutes of footage. You can drop the recording resolution lower and it will in turn allow you to record five hours of footage. If you really want to see what you’re shooting, there is a Looxiemoments app available for iPhone and Android smartphones that will allow you to see what you are recording in real time and also upload, edit and share the videos you made as well.